Unwanted waviness of the fabric along the seam line is called seam pucker or seam puckering. This may be apparent immediately after sewing. Most of the times, sewing threads are referred as the responsible for seam puckering. But, without sewing threads, there are so many reasons or causes for occurring seam puckering such as fabric structure, seam structure, needle size, feeding problem, uneven thread tension and so on. This can be seen after sewing and sometimes after washing of garments. There is a great possibility of seeing seam puckering in case of more plies of fabric sewing together. This article has shown the main reasons of occurring seam puckering. There is a great possibility of seeing seam pucker in case of more plied of fabrics sewing together. Due to variable stretch on the fabric plies they will not feed equally to sewing machine and create seam pucker. This type of seam puckering is seen for the limitation of feed mechanism. For example, it is very hard to remove seam pucker in drop feed mechanism. To remove this, it must need to set modern feed mechanism. In drop feed system, it can be controlled by skilled operator. If the shrinkage of sewn fabric plies are not same or equal than seam puckering will create after washing. To avoid this, it must know the shrinkage property of different types of fabrics before sewing. If the shrinkage percentage of area of two pieces fabrics is more than two, then seam puckering will occur after sewing the fabrics together. Different types of tension are placed on sewing thread during sewing of fabrics. Specially, a huge amount of tension is placed on the needle thread than the under thread. If the tension on needle thread is higher than under thread than seam pucker will produce. Due to tension, the length of thread is extended a slight. When the fabric is displaced or descend from the machine after sewing, shrinkage of thread and fabric are occurred due to tendency of coming to their original position. If the shrinkage percentage of thread and fabric are same then there is no possibility of seam puckering. But if the shrinkage percentage of thread is higher than the fabric, then there is possibility of seam puckering. It must need to give sufficient tension to the thread and fabric during sewing. Generally, by using less tension to the thread. Due to variable shrinkage percentage of sewing thread and fabric, seam puckering will create after washing or ironing. To protect this, it must know about the shrinkage percentage of fabric and thread before selection to sew. There is less possibility of occurring seam puckering when sewing is done by synthetic threads due to less shrinkage percentage of them. When sewing is done by needle to densely woven fabrics. There is happened seam puckering due to the shrinkage of fabric. By using finer thread and needle. By cutting and sewing fabric on bias angle (15-20 to warp and weft thread). By using chain stitch instead of lock stitch (if possible). To change fabric (if possible). Seam puckering will create when two different size patterns are sewn together. The designer is responsible for this. But can be occurred due to wrong selection of patterns. What do you mean by seam puckering? Mention various causes of seam puckering. Describe different reasons for seam puckering. Explain the root cause of seam puckering. Point out the various reasons of seam puckering. Pointed out different matters of seam puckering. 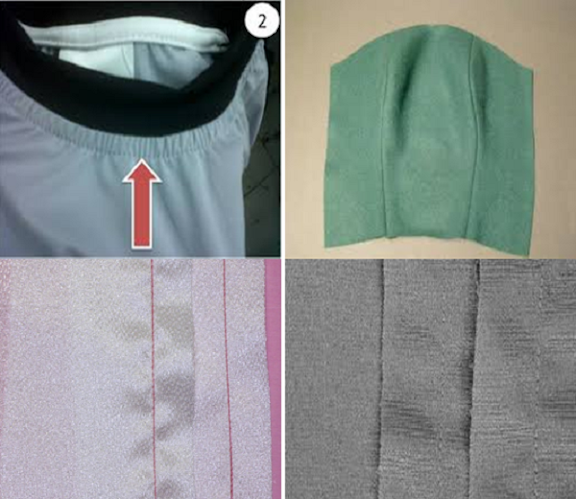 Category: Garments Production Sewing Tags: definition of seam puckering, seam pucker in apparels, seam puckering in readymade garments, what is seam pucker?, what is seam puckering? Thanks for sharing informative post, its very useful for me.